Go the way of the locals on this must for your bucket list, the Wild Atlantic Way! Go west along the way and discover people, places and culture along a 2,500km stretch of captivating coastline. With surprises at every turn, stories in every town and almost 200 signature points of discovery, the Wild Atlantic Way takes you on a journey of untold possibilities. 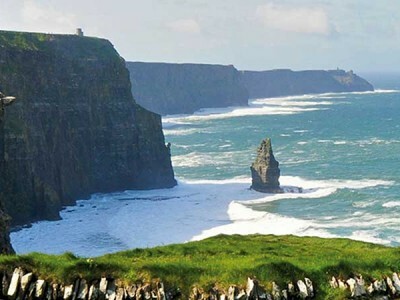 The longest defined coastal touring route in the world winds its way across 7 counties from Donegal in the North West to Cork in the South and is dotted with countless milestones of Ireland’s natural beauty and remnants of human endeavour over the last 6000 years. Start a lifelong adventure with a taste of the wonderful on the wild Irish coast. 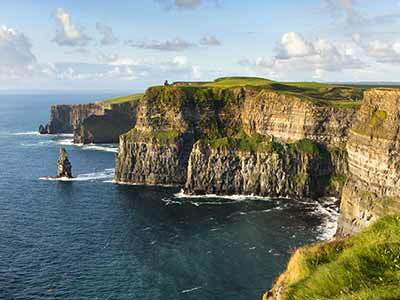 This carefully mapped route will put you in touch with Ireland past and present while stirring your senses with jaw dropping views of the magnificent west coast. The deep green fields and blues of the water, the striking cliff faces, rugged mountains, dense forests and majestic headlands are just some of the sights to behold on this epic road trip. There are solemn reminders of Ireland’s difficult past and fitting monuments to its daring predecessors. Culture, adventure and friends are all to be found too on this real Ireland experience, with tiny towns, historic ruins and inquisitive cows popping up as you drive by and music filled pubs, busy villages and chatty locals wherever you take a break. 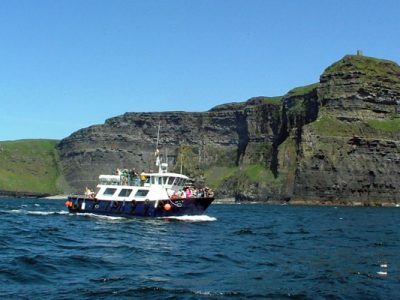 The Wild Atlantic Way takes you to some of the most spectacular places in Ireland like the world famous Cliffs of Moher, the unique landscape of the Burren and the beauty of the Aran Islands. 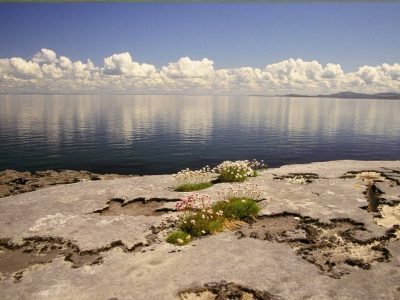 Whether you’re searching for excitement or craving an escape, have it your way and immerse yourself in the dramatic windswept spectacular shores of the Irish west coast.